It’s AVENGERS WEEK! We’ve asked some of the top names in comics to pick their favorite stories. Here’s writer Ron Marz, who’s spinning tales for DC’s Convergence and Dynamite’s John Carter: Warlord of Mars! 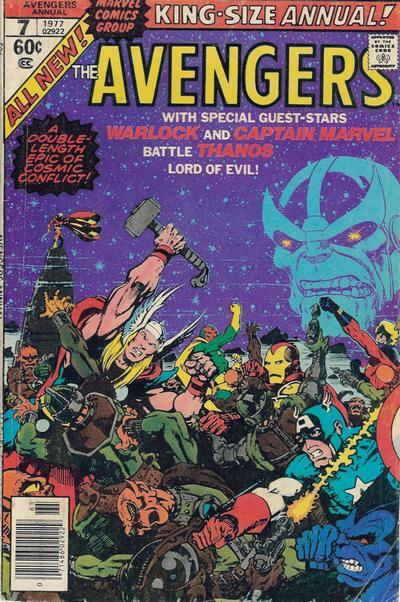 Avengers Annual #7, along with Marvel Two-In-One Annual #2. These are my favorite Avengers stories … though in all honesty, they’re not really Avengers stories. They’re Thanos and Warlock stories, courtesy of my friend Jim Starlin. I was a huge Avengers fan as a kid, it was my must-buy book, at least when I could find a copy on the spinner rack of our local deli. I loved whenever the Holy Trinity of Cap, Iron Man and Thor was together. The Vision was my favorite superhero, bar none. 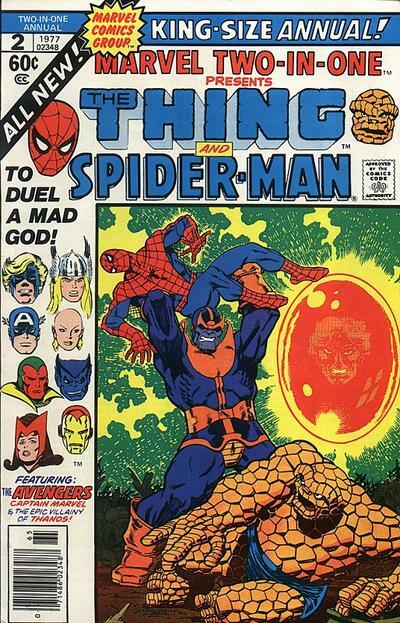 But these issues, with Spidey and the Thing thrown in for good measure, just knocked me out. They were the first comics I read that had permanent consequences. Warlock died! Thanos got turned to stone! Utterly epic in every sense of the word, yet completely personal and character-driven. Even now, all these years later, these are still my handbooks for how to do superhero comics.